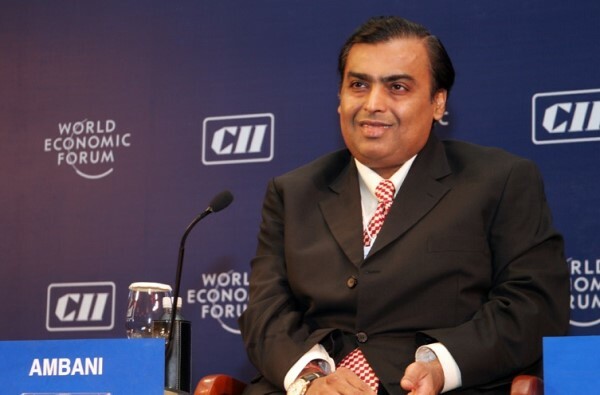 On Friday Mint carried an article “Reliance readies for 4G triple play” which was about big brother Mukesh Ambani’s Broadband Wireless Access (BWA) launch plans. While most of us are aware of Reliance Infotel’s BWA plans it is always “reassuring” to read such articles because it brings us (“us” as in internet companies in India) the big growth in internet user base is indeed going to happen. Can his plans make Internet Entrepreneurs smile in India? YES, he can! Reliance Infotel has gone with TD-LTE (What is TD-LTE?) technology for their BWA plans. TD-LTE can reach download speeds of 150 Mbps, upload speeds of over 80 Mbps. I am reasonably sure I can live with it! Each LTE cell tower can cover upto 100 km (so how many towers do we need to cover major part of India?). It would be a pleasure to watch videos, live telecasts on mobiles and tablets in India on 4G, this is the very same reason Reliance has gone on an acquisition spree of TV channels. What must be carefully noted is the keen interest and ‘business faith’ Mukesh Ambani has shown in the importance of regional TV. While most say BWA will benefit the non-metros in India I believe it will help metros too. Even in many parts of Bangalore it is not possible to get a wired broadband connection as the local govt has completely halted the digging of roads for laying of cables. Will 4G help India’s GDP? Currently the broadband penetration is low in India, if it reaches the critical mass of 20-30% the impact on the economy can be very encouraging. If broadband access monthly rates are priced at Rs 200 the industry could see a huge explosion in demand. For that to happen the government needs to “encourage” rather than put hurdles on the internet infrastructure industry. About 100 million are expected to migrate to cities in India during the years 2012-17. As they move to cities their lifestyle, purchasing power is bound to increase (at least for most of them). Well before 2017 accessing internet on your mobile will be a necessity and not a luxury. One can imagine how many “new” mobile internet users India is about to have! Currently (Jan 2012) about 1.5 million smartphones are sold per month in India, this is expected to grow to 2.25 million by June 2012. What will these new Urban residents want to consume on the internet? Languages of course (text, audio, video), after all everyone wants to communicate in their mother tongue. While one cannot predict the exact year and month of internet user base explosion in India, it is sure to happen soon. It is best for internet companies to be well prepared for the surge of new internet users (irrespective of the device) in India. I eagerly wait to witness and experience the hockey stick effect in India.